There is now a big hue and cry by NFL media pundits that the New York Jets need to dump Mark Sanchez, former USC quarterback who has been the NY Jets QB for the last four years. All of you "anti-Mark Sanchez" idiots need to get a life. Sanchez, among the few quarterbacks in NFL history to take their team to the playoffs in his first two years, was vilified by pundits throughout those two years. OK, so his record the last two years are not impressive. Neither have the entire Jets team risen to the occasion. The Tim Tebow (savior) affair is a joke. But, there has to be a fall guys for their miserable play these last two seasons. Sanchez has had to deal with coaching changes, two of the Jets top players being injured (Revis and Holmes), has had no protection up front, yet the New York (spoiled) Jets fans are calling for the Latino Lamb to be slaughtered because of the idiotic mistakes by coaches and lackluster players; etc., etc. Here is the list of the top quarterbacks that have accomplished what Sanchez did for his first two years: The list isn’t large. In fact, it’s only nine, and it only dates back to the 1983 season. § John Elway started 10 games as a rookie in 1983 for the Denver Broncos, going 4-6 and leading his team to a first round Wild Card loss to the Seattle Seahawks. § Dan Marino started 9 games as a rookie in 1983 for the Miami Dolphins, going 7-2 and leading his team to a first round BYE and a second round loss to the Seattle Seahawks. § Bernie Kosar started 10 games as a rookie in 1985 for the Cleveland Browns, going 4-6 and leading his team to a first round BYE and a second round loss to the Miami Dolphins. § Dieter Brock started 15 games as a 34-year old rookie in 1985 (fresh from a long career in the CFL) for the Los Angeles Rams, going 11-4 and leading his team to a first round BYE, a second round win over the Dallas Cowboys, and an NFC Championship loss to the Chicago Bears. § Ben Roethlisberger started 13 games as a rookie in 2004 for the Pittsburgh Steelers, going 13-0 and leading his team to a first round BYE, a second round win over the New York Jets, and an AFC Championship loss to the New England Patriots. § Matt Ryan started 16 games as a rookie in 2008 for the Atlanta Falcons, going 11-5 and leading his team to a first round Wild Card loss to the Arizona Cardinals. § Joe Flacco started 16 games as a rookie in 2008 for the Baltimore Ravens, going 11-5 and leading his team to a first round Wild Card win over the Miami Dolphins, a second round win over the Tennessee Titans, and an AFC Championship loss to the Pittsburgh Steelers. 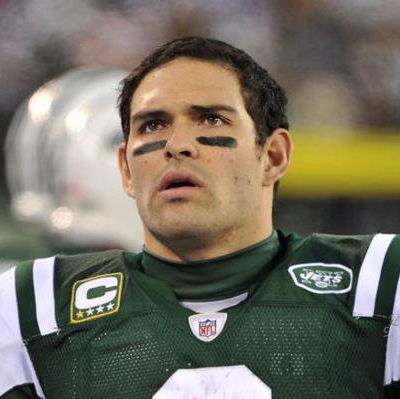 § Mark Sanchez started 15 games as a rookie in 2009 for the New York Jets, going 8-7 and leading his team to a first round Wild Card win over the Cincinnati Bengals, a second round win over the San Diego Chargers, and an AFC Championship loss to the Indianapolis Colts. § Andy Dalton started 16 games as a rookie in 2011 for the Cincinnati Bengals, going 9-7 and leading his team to a first round Wild Card loss to the Houston Texans. It's becoming more clear why legendary twice-Super Bowl-winning coach, Tom Flores, has not been inducted in the NFL Hall of Fame after contributing more than 50 years of professionalism as a quarterback for the Oakland Raiders, assistant coach for the John Madden-led Super Bowl Champion Raiders in 1977, twice Super Bowl Champion coach for the Los Angeles and Oakland Raiders, former General Manager of the Seattle Sea Hawks, and current color commentator for the Oakland Raiders. How many NFL players can make claim to possessing 4 Super Bowl rings? Hang in there Mark, your football career will be redeemed and many NY Jets fans and players will say in the future, "Why, or why did we let Mark Sanchez go?"